Billie was born in India in 1962. 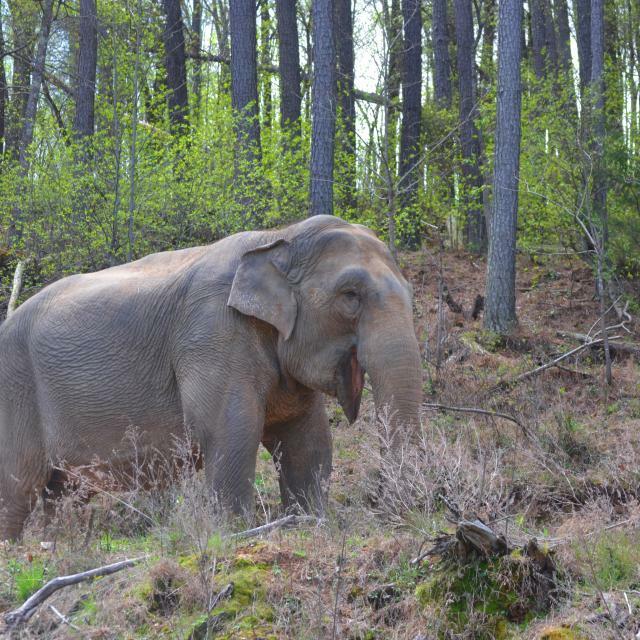 Like most Asian elephants arriving in the United States during this era, Billie is believed to have been captured from the wild, separated from her family, and shipped to the United States. After a short time at the Southwick Zoo in Mendon, MA, Billie was sold into the performing industry. Records indicate that around the age of ten, Billie was acquired by the Hawthorn Corporation, a company that trained and leased elephants to circuses. For the next 20 years, Billie traveled and performed with other elephants in circuses throughout the United States. In 1993, after displaying aggression toward her trainers, Billie was declared dangerous by the USDA, and the Hawthorn Corporation was ordered to take her off the road. For 13 years, she was housed in a 20’ x 20’ stall at the Hawthorn Corporation winter quarters outside of Chicago, IL. 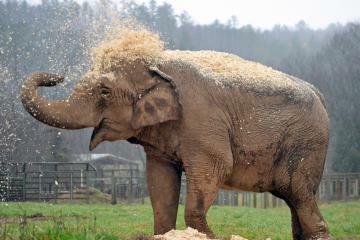 Between 2003 and 2006, as a result of the USDA’s prosecution for violations of the Animal Welfare Act involving inadequate care and mistreatment of its elephants, 11 members of the Hawthorn Corporation’s elephant herd were transferred to The Elephant Sanctuary in Tennessee. 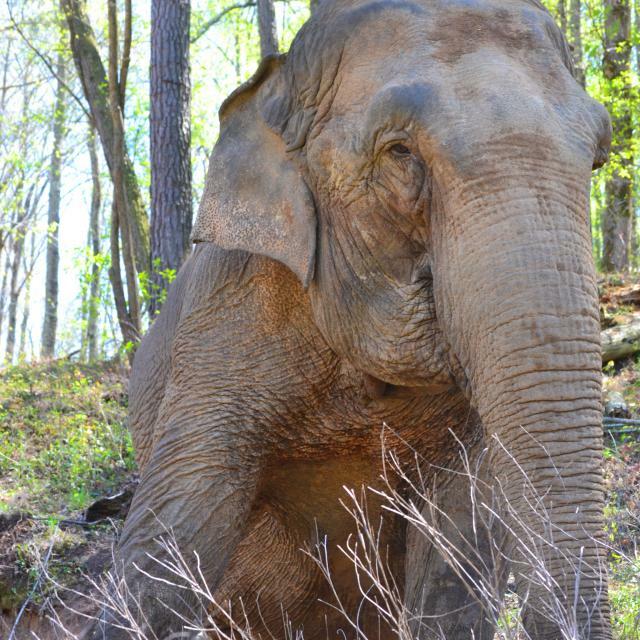 On February 9, 2006, at the age of 44, Billie became the 21st resident of The Sanctuary. Like all the Hawthorn elephants, Billie arrived with a history of known exposure to tuberculosis. The Sanctuary’s 220-acre Q Habitat was created to provide for their care and safety. Billie also arrived with an ankle chain, but she would not allow staff to touch her leg or remove the chain. 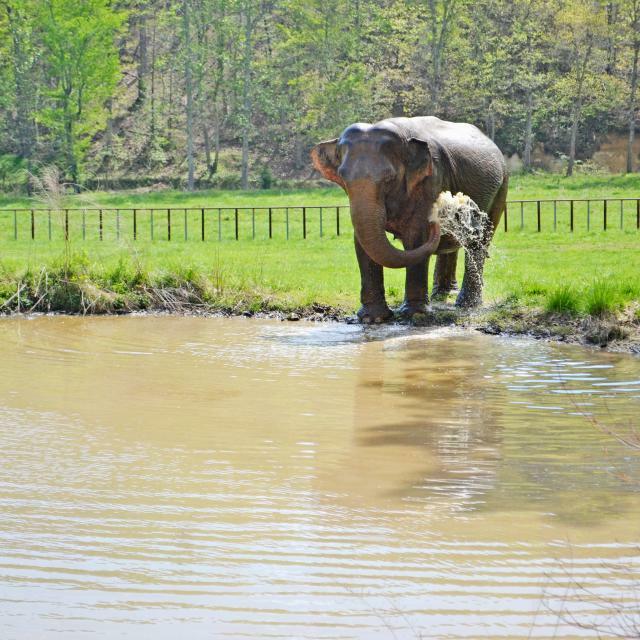 In 2011, after nearly five years at The Sanctuary, Billie finally allowed Caregivers to remove her ankle chain – the last vestige of her life as a circus elephant. Billie’s story is told in the non-fiction book, Last Chain on Billie: How One Extraordinary Elephant Escaped the Big Top, written by investigative reporter, Carol Bradley. At first fearful and nervous in her new environment, Billie soon formed bonds with long-time herd members, Liz and Frieda. They became known as the “trio” and were rarely seen apart. Caregivers reported that after even the shortest separation, Billie would often trumpet to bring them all back together. Frieda passed in March 2015 and Liz passed in July 2015. Both had long histories of chronic foot and joint disease. 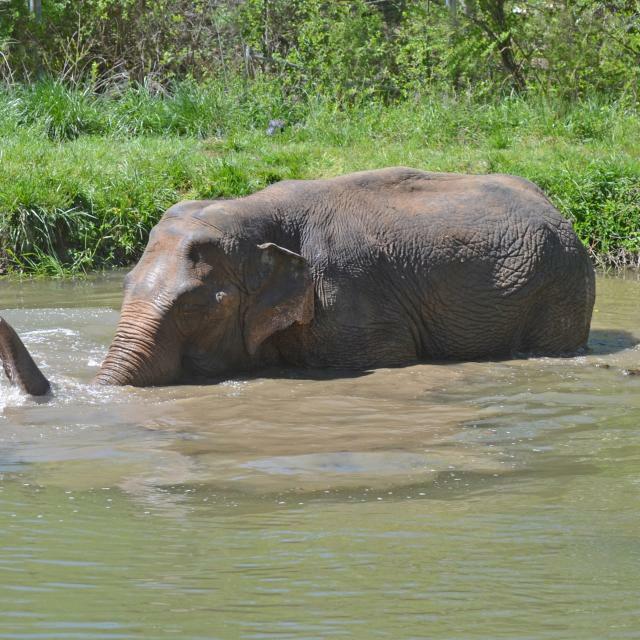 Today, Billie is frequently seen swimming in the pond near the barn. She never seems to tire of splashing in the water. She explores her habitat and spends time in special spots such as “Frieda’s Field.” Billie responds well to verbal praise and enjoys all the food offered to her. Caregivers provide Billie with frequent opportunities to socialize with Q herd-mates Ronnie, Debbie, Minnie, and Sissy in hopes she will develop new bonds. Everyone is watching closely.